In early modern England, academic and popular medical writers expressed concern that there were many couples who struggled to conceive and so were childless. An English edition of François Mariceau’s midwifery manual remarked that that he ‘admire[d] the great passion which many have, who complain of nothing with greater regret than to [be] without Children, especially without Sons.’ Barrenness though was not only limited to those who were childless; those who had had children previously but now struggled to conceive again were also thought to be barren. One strategy for remedying barrenness, particularly if it was caused by frigidity (a loss of libido and sexual pleasure caused by cold) recommended by early modern medical writers was to consume ‘provokers of venery’ what came to be called in the late seventeenth century aphrodisiacs. Numerous foods were thought to be aphrodisiacs including, nettles, artichokes, parsnips, mustard seeds and onions. 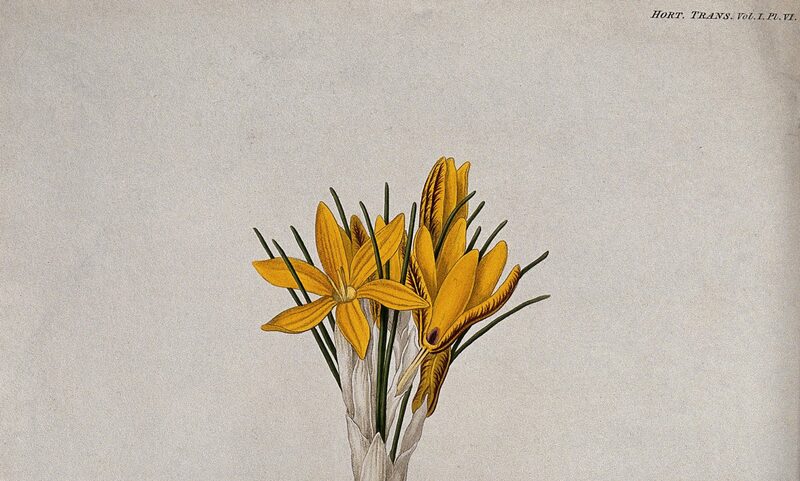 As one published book of medical recipes, Dr. Trigg’s Secrets, Arcana’s & Panacea’s (1655) declared ‘an excellent secret to help barrennesse’ was ‘The buds of the Sun-flower before it blossome, boiled and eaten with butter, vinegar and pepper, do mightily excite to venery, and provoke lust more than the Artichoke. Nettle seeds are good for the same purpose; so is garden cresses and rocket and purslaine’. Many aphrodisiacs were incorporated into fertility remedies recorded in domestic recipe books, although these texts were rarely as explicit as Dr. Trigg’s secrets in explaining that these remedies were useful because they encouraged couples to engage in sexual activity that would lead to conception. 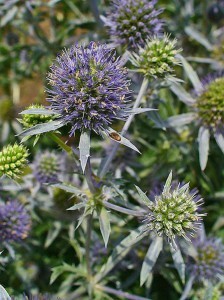 One plant regularly described by medical authors as an aphrodisiac was Eryngo also known as Sea Holly. The roots were often candied, and recipes for this were recorded in several domestic recipe books including an anonymous seventeenth and eighteenth century collection housed in the Wellcome library (MS 8097). The author of this recipe gave detailed instructions for washing, boiling and candying the roots of this plant. The root was also included in several remedies designed to improve fertility. A collection attributed to Elizabeth Okeover included ‘An excellent helpe to conception’ – ‘Take the rotes of seaholly it growth by the sea side & is like to little trees of halfe a yeare height some call it Aringeime take the rootes of this & make it in sirrupe & eate it in the morne & at 4 a clocke take some gentle pills at the beginenge not before every recept’. Similar remedies were also included in a recipe book attributed to Anne Glydd (1656) and one attributed to Bridget Hyde (1676-1690). ‘A Brotanum mas, foemina. Southernwood, male and foemale. Is hot and dry in the third degree, resists poyson, kils worms, provokes lust; outwardly in plaisters, it dissolves cold swellings, and helps the bitings of venemous beasts, makes hair grow: take not above half a drachm at a time in pouder’. 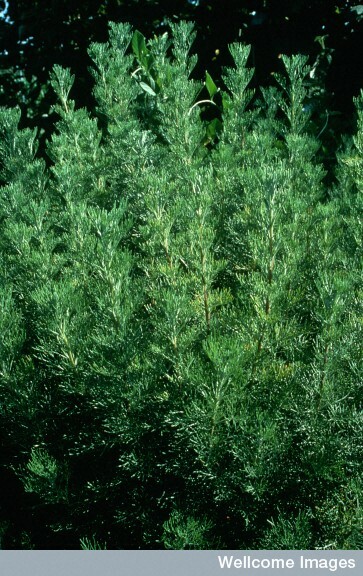 Culpeper’s text suggested that southernwood provoked lust when taken as an internal medicine, like many aphrodisiacs. 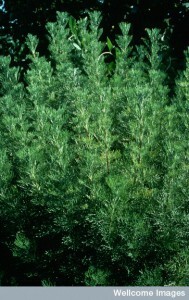 In Anthony Lewis’s recipe, though, the herb was supposed to stimulate sexual desire just through proximity to the body. This was not unprecedented Phillipa Pullar has suggested that the Greeks and Romans enjoyed satyrion root [a type of orchis] because its tuberous and erect fleshy stem was thought to have an effect even when held in the hand. ‘hat a Man’s Member cannot be erect, till what is laid be removed. And if one lay the Herb [whores vervain] under the Pillow, he that lies upon it shall not erect, a[n]d if you give a little of the Herb powdered in drink to a Man, he will not erect to coition for seven dayes. Interestingly, this remedy may have been influenced by ideas of magic, or perhaps counter-magic, against infertility enchantments. However, there is nothing surrounding the remedy to suggest that this was the case. The remedy was also not explicitly related to fertility–there was no suggestion that this was the reason that it had been recorded. It was recorded on the same page as a method for establishing whether a pregnant woman was carrying a male or female child, but was sandwiched between an oil to remove facial wrinkles and a medicine to make the hair grow. If anything this might suggest that this aphrodisiac was included as an anti-aging measure. It was a common humorous trope, and accepted medical reality, that many old men were impotent. This lone recipe is something of an anomaly then. It is puzzling that this is the only remedy of this type that I have found so far. Recipe books include much material taken from medical texts and from physicians, and it was common for general medical texts, midwifery manuals and herbals to describe aphrodisiacs, so why was this information not more readily incorporated into manuscript texts? One possible reason was that many aphrodisiacs were described as being effective on their own without much complex preparation–although there were some remedies that combined numerous ingredients. It was perhaps common knowledge that eating artichokes, sea holly, or satyrion would have these effects. Perhaps this remedy merited notation precisely because it was not to be consumed which made it unusual. I have yet to figure out why this lone note is the only explicit reference to aphrodisiacs in manuscript collections, but it does continue to intrigue me. Hugh Chamberlen, The diseases of women with child … written in French by Francis Mauriceau (London, 1672), 6. Anonymous, Dr. Trigg’s Secrets, Arcana’s & Panacea’s: Approved by his long admired Experience and Practice, whereby he wrought such wonderfull Cures (London, 1665), p. 141-2. Wellcome Library London, MS 8097; see also London British Library, M.S. Add. 45196, Brockman Papers: The Receipt Book of Anne Glydd, 1656,; London Wellcome Library, M.S. 2990/27, Bridget Hyde 1676-1690, fol. 27r; London Wellcome Library, M.S. 1511, Mrs Carr 1682, Fol. 18r; London Wellcome Library, M.S. 3082, Johnson Family 1694-1831, Fol. 203v. Wellcome Library London, MS 3712, Elizabeth Okeover (& others), 141. Lady Marquee Dorset, 1606. fol. 31 r.
 Nicholas Culpeper, Pharmacopoeia Londinensis, or, The London dispensatory further adorned by the studies and collections of the Fellows, now living of the said colledg. (London, 1653), p. 13. Philippa Pullar, Consuming Passions: A History of English Food and Appetites (London, 1970), p.238.